Media - The Sullivan Firm, Ltd.
Terry Sullivan is regularly featured on WGN-TV (Channel 9) discussing legal issues and criminal cases. He’s been their legal analyst for the past twenty years. WGN's Legal Analyst, Terry Sullivan, discussing the feds seizing the legislative inspector's files. 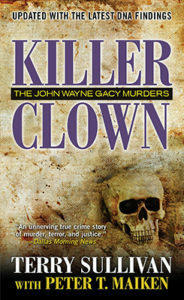 In 2016, Terry was interviewed on The Lifetime Movie Network about the trial of John Wayne Gacy. More recently, he recorded a documentary for CNN that will air in the Spring of 2019.